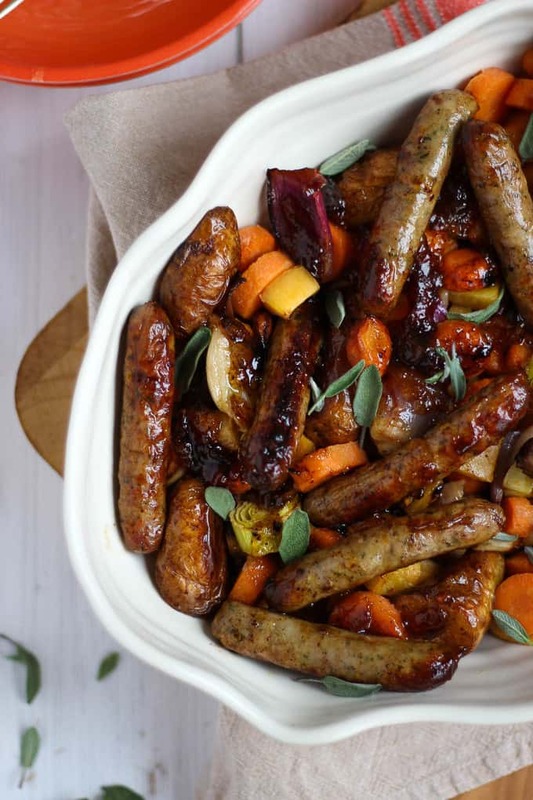 A quick and easy family dinner, this Marmalade Sticky Sausages One Pan Traybake is simple and tasty. Using marmalade to add sweetness, the kids will love it! 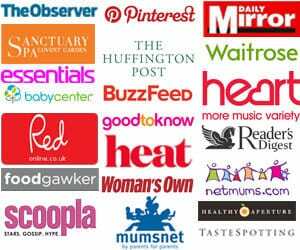 When I first started weaning with G&H I was adamant that they would be little foodie fans, like us. They would eat everything and try new things and blah blah. Famous first mother words ‘eh? Generally they are pretty good. I think having them together probably helped, because even if one randomly decided that they didn’t like something (“No Mummy, today NO WHITE THINGS”) it would still appear on their plate as I’d be preparing it for their sibling. They like most fruit and vegetables but if something looks a bit new, it is eyed with much suspicion. There is though, one never ever fail dish. Sausages. They will eat them come rain or shine, morning or evening. I’ve tried to limit their intake ever so slightly so we do have some variety (!) but mostly, they are on our menu plan once a week. 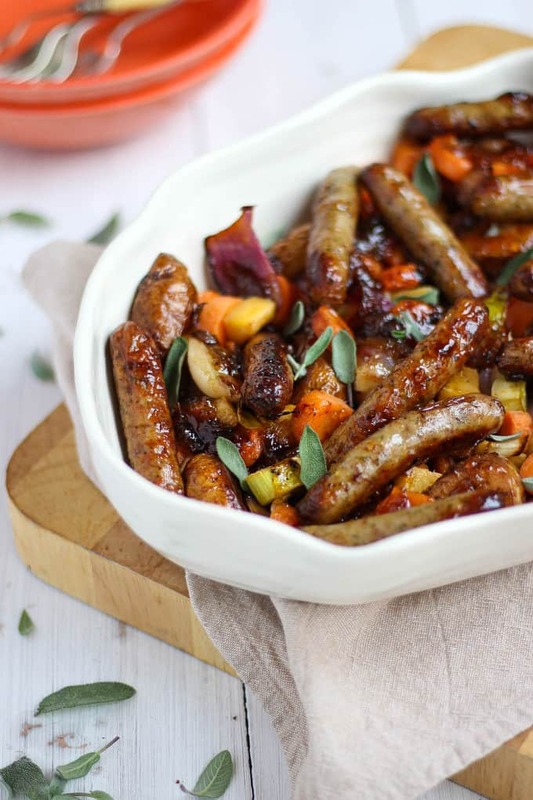 Not all sausages are created equal though and on my quest to make their favourite supper the best it can be, we’ve tried a lot. 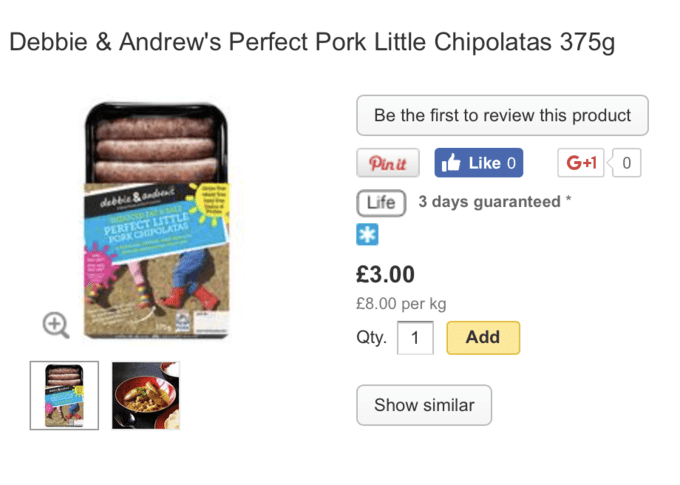 Recently debbie&andrew’s sent us some of their new Perfect Little Pork chipolatas to try. 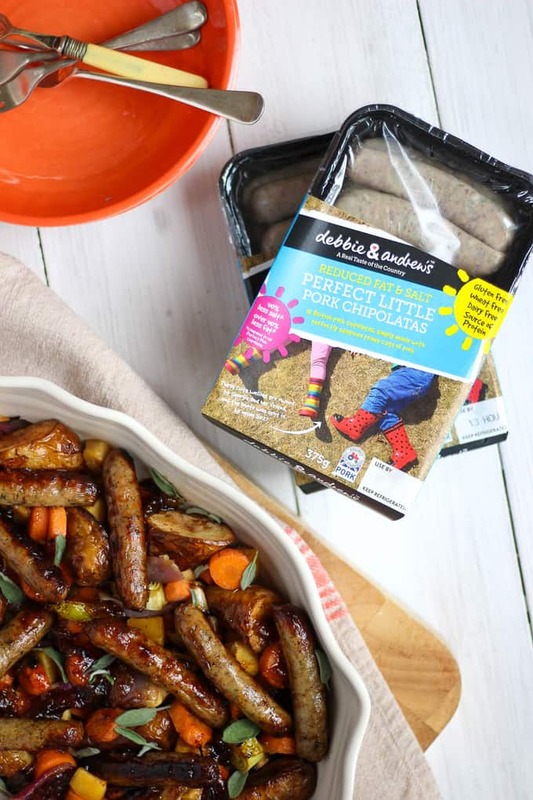 Perfect Little Pork Chipolatas are debbie&andrew’s mini-me offering that takes what is great about full sized sausages and delivers it in a slimmer size – with only mini amounts of salt and fat too. They are quick to cook and easy to cut up, eat and hold. They are also gluten free, dairy free and wheat free. 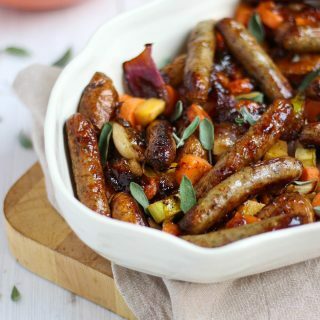 In this Marmalade Sticky Sausages Bake I’ve kept things simple. Perfect for after school dinner, when it’s cold and grey and comfort food that can be popped into the oven is required. This also makes a delicious leftovers lunch the next day. What food will your children always eat, without fail? I use bags of casserole mix for ease, but of course you can prepare your own veg. I tend to use one with onions, carrots, swede and leeks in. This are available in most supermarkets and are a super shortcut. If you’re cooking for young children, omit the salt. Don’t mention the marmalade to the children! They will love it to eat but, if I told them what it was? Probably not! Put the casserole mix onto a baking tray and toss with the olive oil and salt and pepper. Bake for 20 minutes or until just starting to turn golden. Add the sausages on top and sprinkle over the sage. Pop back into the oven for 15 minutes. Spoon over the marmalade and cook for a final 15 minutes. Disclosure: This post was sponsored by debbie&andrew’s. As always, all opinions are truthful. This post contains affiliate links. Oh wow! These look and sound amazing. My mouth is watering just reading this. Yummy recipe! 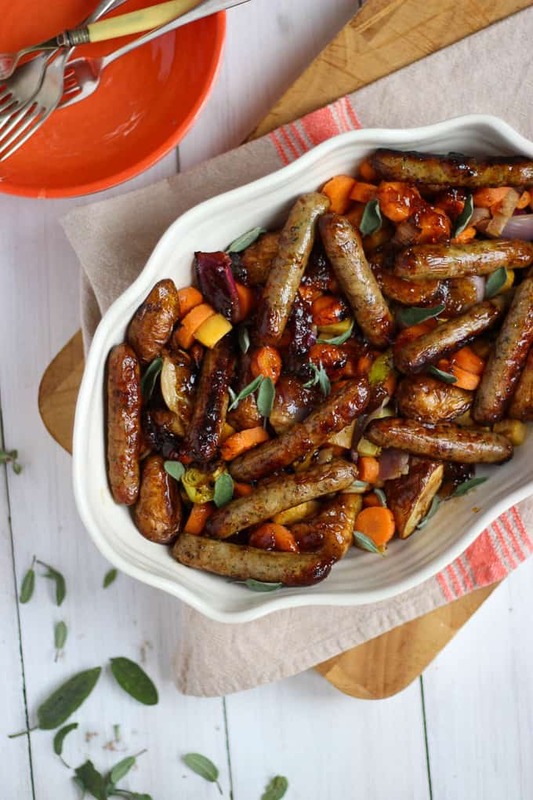 We adore sausages here and always love to find new ways to eat them.